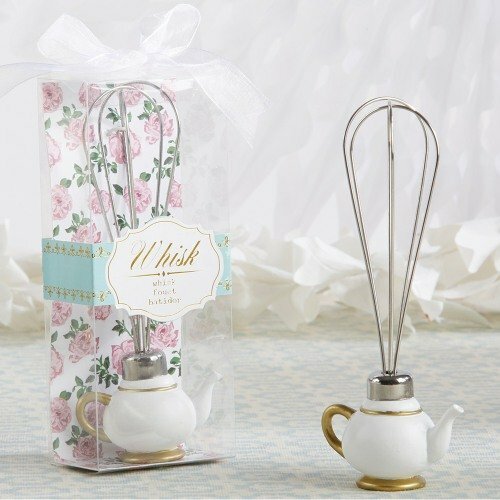 Treat your bridal shower guess to a favor they use time and time again, with these pretty teapot kitchen whisks. Made of silver metal with a white and gold teapot-shaped resin handle, this favor is not only practical but pretty too. Perfect for any tea party themed event.